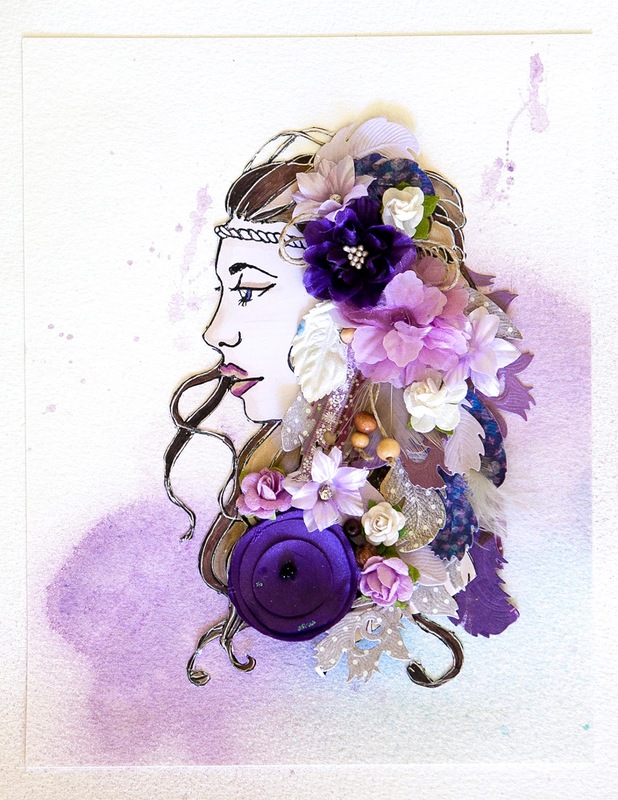 Creative Mayhem: Guest Designer for Green Tara and 'Wild Spirit" Bloom Girl Stamp. Guest Designer for Green Tara and 'Wild Spirit" Bloom Girl Stamp. Green Tara has the most wonderful collections of flowers and ribbons...and very reasonably priced. Here I showcase parts of the Heathcliff and Mauve Mist Retail Flower packs and some of the lovely roses. The stamp is 'Wild Spirit'...one of the Bloom Girl Collection by Prima.